Aidan Gillen as Dr. J. Allen Hynek in sci-fi TV series “Project Blue Book.” The show revolves around Hynek’s research on UFOs for the United States Air Force. From “Stranger Things” to the “Cloverfield” film franchise, there’s no shortage of blockbuster hits and Netflix series that bring aliens down from space and into our backyards. But one of the latest sci-fi installments tackling the topic of extraterrestrials and government secrets strips away the green face-paint and tacky costumes — instead, it becomes something rooted much deeper in reality, and American history itself. 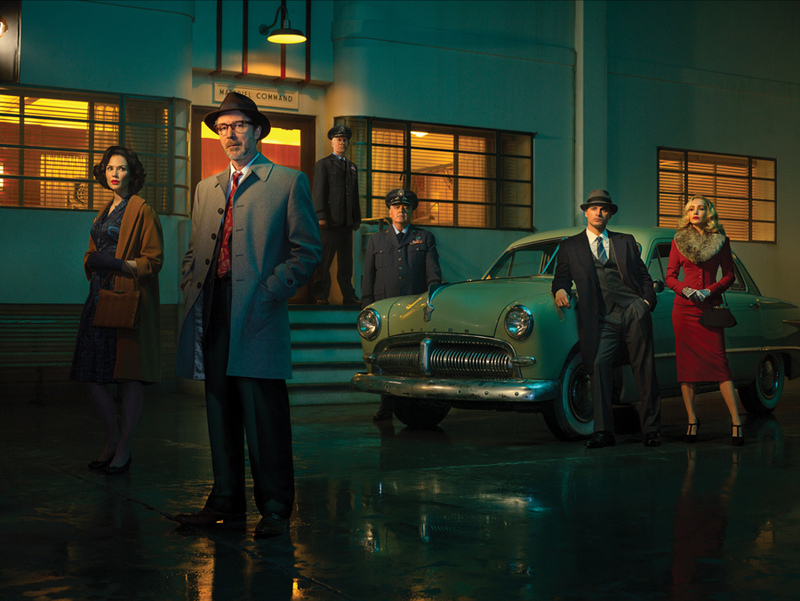 J. Allen Hynek, an astronomer and ufologist who once graced the halls of Northwestern, is the central figure in the new History Channel production “Project Blue Book.” The show dramatizes the work Hynek did with the Air Force to conduct top-secret investigations into UFO sightings. But Hynek, who died in 1986, had made a name for himself long before he was recruited by the Air Force. Paul Hynek described his father as the “little Czech boy” who did not speak English until kindergarten but had found his passion for astronomy by the age of seven. He then went on to earn his PhD in astronomy at the University of Chicago and teach at esteemed universities around the country. Hynek became the NU astronomy department chair and director of the Dearborn Observatory in 1960. Paul Hynek said his father is now most commonly associated with his work alongside the Air Force. In the midst of post-World War II hysteria, J. Allen Hynek was recruited to work at the Wright-Patterson Air Force Base to scientifically debunk flying saucer sightings — a mission coined Project Blue Book. J. Allen Hynek, once a skeptic, was eager to quickly explain away the cases. But even with his strong astronomy background and government resources, he deemed some sightings beyond the realm of scientific explanation. Hynek and his team studied more than 12,000 cases in this project, but failed to solve about 700 of them — leaving Hynek with doubts about his beliefs. While Paul Hynek did admit that these unsolved cases are not necessarily proof of extraterrestrial visitation, he said his father always believed there are two types of people: those who like questions they can’t answer and those who like answers they don’t question. And despite scientific pressure, J. Allen Hynek didn’t dismiss the popular answer behind these bizarre sightings: extraterrestrials. Fast forward a few decades later, and the question of humanity’s solitude in the universe — or lack thereof — still appeals to modern audiences and particularly show producer David O’Leary. After graduating from college, O’Leary moved to Los Angeles to pursue writing, where he began to delve deeper into the topic of extraterrestrials and the government’s secretive stance on the subject. One evening, O’Leary was struck by the idea that would marry his passion for writing with his passion for the unexplained. Though the show is a “historical drama in every sense” and embellishes some elements of the story, O’Leary said it still stays true to much of its namesake historical context. However, when covering a 17-year investigation in 42 minutes a week, he said some liberties must be made to tell a compelling story. Meredith Mackey, a SESP senior and former production assistant for the History Channel, echoed this sentiment. Hynek said he has reviewed scripts, visited the set and answered questions about his parents. These inquiries would include broad topics, like his father’s outlooks or how he would react to something, as well as easily overlooked details — like when Gillen asked how J. Allen Hynek would have pronounced Halley’s Comet. Hynek said his goal was to keep the series true to his father’s character. Even while sorting through his father’s nuances and traits for the production, Hynek said watching and working on a show dedicated to his father and his work is a surreal experience. He described watching dramatic representations of his parents as an adventure — simultaneously fun and unnerving. Most importantly, though, Hynek believes his father would have enjoyed the series.